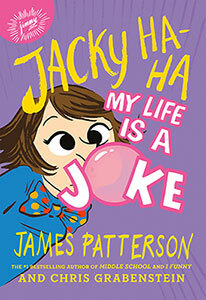 Jacky Ha-Ha, a class clown who makes people laugh with her so they can't laugh at her. 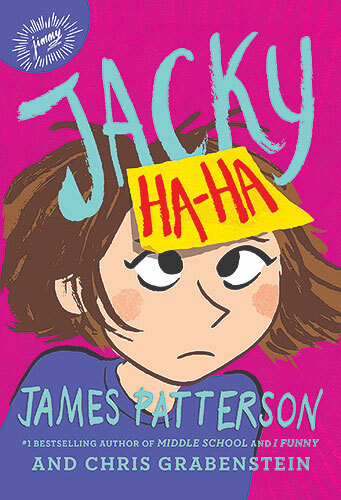 With her irresistible urge to tell a joke in every situation—even when she really, really shouldn't—twelve-year-old Jacky Ha-Ha loves to make people laugh. And cracking wise helps distract her from thinking about not-so-funny things in her life, like her mom serving in a dangerous, faraway war, and a dad who's hardly every home. 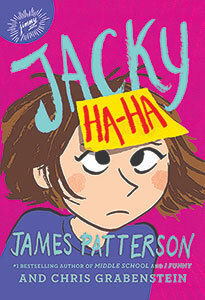 "Fun, smart, emotionally engaging, Jacky is a character that young readers will love spending time with." "...stuffed with page-turning pranks, and the swoopy b&w cartoons from Kerascoët only add to Jacky's untamed energy.... The novel is sure to amuse and encourage readers who don't have it all figured out just yet." "Smart, funny, and immensely likable, Jacky is a colorful narrator and an increasingly interesting character, and her struggles will strike a chord with many readers."